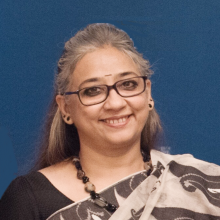 Alka Acharya is a Professor of Centre for East Asian Studies (Chinese Studies) School of International Studies, Jawaharlal Nehru University (JNU). She was the Director and Senior Fellow at the Institute of Chinese Studies. She was Editor of the quarterly journal China Report (New Delhi) from 2005-2013. She was nominated by the Indian government as a member of the India-China Eminent Persons Group (2006-2008) and member of the National Security Advisory Board of the Government of India for two terms (2006-2008) and (2011-2012). She has authored a book China & India: Politics of Incremental Engagement, published in 2008. Her current research focuses on India-China-Russia Trilateral Cooperation and the Chinese strategic response to the post-cold war regional architecture, with special reference to China’s neighborhood. Ashwini Deshpande is Professor of Economics at the Delhi School of Economics, University of Delhi, India. Her Ph.D. and early publications have been on the international debt crisis of the 1980s; also on aspects of the Chinese economy. Subsequently, she has been working on the economics of discrimination and affirmative action issues, with a focus on caste and gender in India. 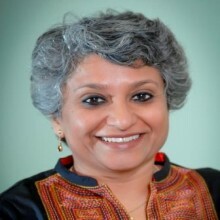 She is the author of "Grammar of Caste: Economic Discrimination in Contemporary India", OUP, 2011 and "Affirmative Action in India", OUP, Oxford India Short Introductions series, 2013. Brij Tankha is fromerly Professor of Modern Japanese History, Department of East Asian Studies, University of Delhi. He is also the former Director and currently Honorary Fellow and Coordinator, East Asia Programme, Institute of Chinese Studies, Delhi. Hemant Adlakha is Associate Professor at the Centre for Chinese & South East Asian Studies, School of Language, Literature & Culture Studies, Jawaharlal Nehru University. Madhavi Thampi is an Honorary Fellow at the Institute of Chinese Studies, and Editor of its journal China Report. She was an Associate Professor at the Department of East Asian Studies in Delhi University, where she taught Chinese History. Her publications include the monograph Indians in China, 1800-1949 (2005). She has co-authored (with Brij Tankha) Narratives of Asia from India, Japan and China (2005), as well as a book entitled China and the Making of Bombay (with Shalini Saksena, 2009). Manoranjan Mohanty (b.1942) is a teacher, researcher and writer. A Political Scientist, China Scholar and Peace and Human Rights activist he has many books and research papers on theoretical and empirical dimensions of social movements, human rights, development studies and global transformation. After retiring from University of Delhi he has been with the Council for Social Development (CSD) and is the Editor of the CSD Journal, Social Change published by Sage. He is also Chairperson, Development Research Institute, Bhubaneswar, Honorary Fellow, Institute of Chinese Studies (ICS), Delhi and Fellow at Orfalea Center for Global and International Studies, UC, Santa Barbara. Srikanth Kondapalli is an Honorary Fellow of the Institute of Chinese Studies and Professor in Chinese Studies at School of International Studies, Jawaharlal Nehru University. He is currently Chairperson of Centre for East Asian Studies, School of International Studies, Jawaharlal Nehru University and Research Associate at Centre for Chinese Studies, University of Stellenbosch, South Africa. He was a Visiting Professor at National Chengchi University, Taipei in 2004 and a Visiting Fellow at China Institute of Contemporary International Relations, Beijing in May 2007. Virendra Sahai Verma is a Honorary Fellow, Institute of Chinese Studies Delhi. He is an Indian Army veteran with commissioned impeccable combatant service of 35 years. He has presented so far 55 papers in national and international seminars. The subjects of articles and presentations are relating to India-China relations, Tibet-cultural and political, India-Pakistan relations, nuclear issue, intelligence ethics, border area studies, Sino-Pak relations, Gilgit and Baltistan, Buddhism in Himalayan belt, Soldiers role in peace making, Indian Ocean, Maritime Security, etc. Most of his writings are peace oriented with focus for resolution of disputes.